There is no good way to define what it means for a language to be fast. While some benchmark suites exist, such as the benchmarks game, they are typically designed for general-purpose CPU languages, and thus not a natural fit for Futhark. This page will not try to quantitatively prove that Futhark is the fastest language ever. Instead, it merely attempts to give an intuition of where Futhark lies in the performance space. This is done by comparing performance on fairly simple programs to hand-written implementations or other high-quality GPU languages or libraries. Unfortunately, such comparisons mostly exercise the efficiency of basic language constructs. These programs are too small and simple to benefit from the ability of the Futhark compiler to significantly restructure the original program and its data representations through loop fusion and the like. More comprehensive benchmarks can be found in our various papers. The graphs show input size on the x-axis, and the resulting runtime in microseconds on the y-axis. All runtimes are averaged over a hundred runs. For reference, we also include the runtime for Futhark compiled to sequential CPU code. The benchmarking setup and code can be found here. There is also the full Futhark benchmark suite and its dashboard, which shows performance changes over time. This program simply sums an array of integers. We compare the Futhark code to Thrust, a C++ library developed by NVIDIA (now maintained as an open source project) for GPU programming in a high-level STL-like style. This program resides in a Thrust sweet spot, as it can be expressed as a single reduction with a simple operator. Thrust has well-implemented basic primitives, which means that matching it in performance on simple programs is a satisfying result. The sequential runtime is for Futhark code compiled to sequential CPU code. This graph shows performance of a maximum segment sum implementation in Futhark and Thrust. This example is interesting because it involves a non-commutative reduction. In Thrust, we have to implement this via an inclusive scan followed by picking out the last element. This is not too problematic for small input sizes, due to the high quality of the scan implementation in Thrust, but the extra work begins to have an impact for larger input sizes. Accelerate is an array language embedded in Haskell that supports flat data-parallelism, and which comes with a backend for NVIDIA GPUs. The design of Accelerate makes it natural to jump from CPU to GPU code within a single Haskell program, although that is not used in this benchmark. 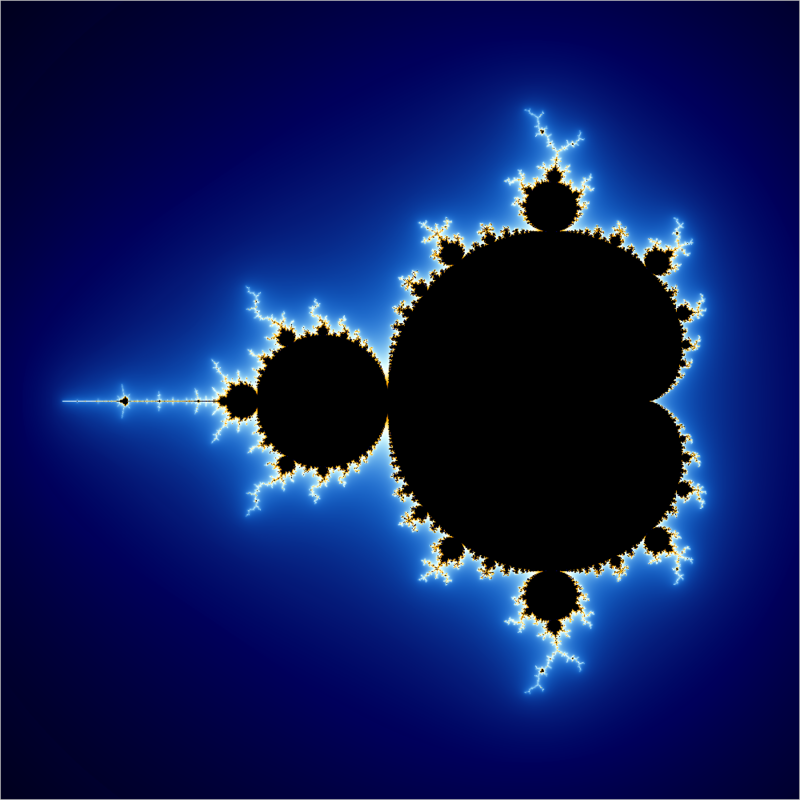 When visualising the Mandelbrot set, each pixel can be computed completely independently and with no memory accesses apart from the final write, making it an excellent fit for GPU computing. The amount of work done is proportional to the square of the value on the x-axis. Rendering the fractal to an image is not included in the runtime measurement, but the visualisation looks like this. HotSpot is a widely used tool to estimate processor temperature based on an architectural floorplan and simulated power measurements. The thermal simulation iteratively solves a series of differential equations for block. Each output cell in the computational grid represents the average temperature value of the corresponding area of the chip. Concretely, HotSpot is a rank-1 2D stencil code. The implementation in Futhark is similar to our stencil example, although with more complicated edge conditions. There is a rich literature on various clever ways to optimise stencils. Futhark does not yet employ any of these tricks, but still manages to obtain decent performance. The main contributor here is a memory management strategy that avoids both copying and expensive allocations inside the outer sequential loop. We wrote a blog post on the technique.